The Library Manager allows Checkbox users to store frequently used survey items in a safe location for use in future surveys. Instead of creating the same item multiple times for different surveys, users can simply pull a saved item from an existing library. This document provides an overview of the Library Manager, including the creation and application of library items. 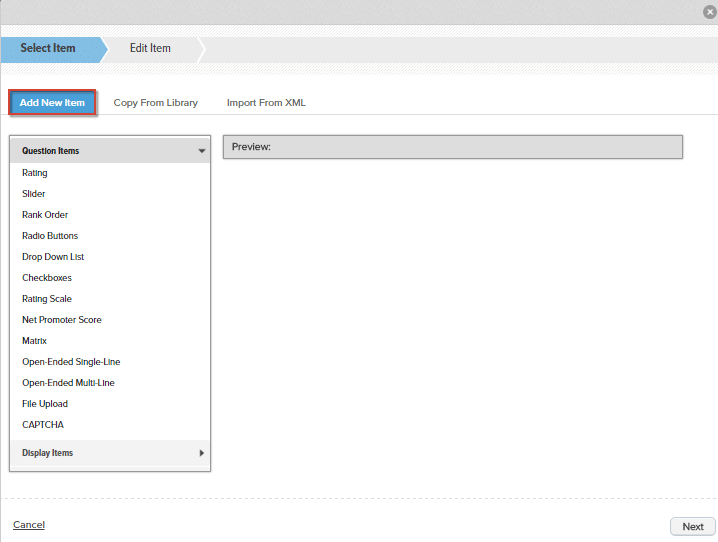 To enter the Library Manager, select Libraries from the main menu at the top of the application. 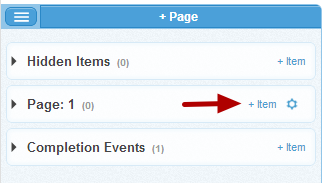 To add a new library, select +Library at the top of the library navigation pane. NOTE: Hovering over +Library will give you the option to import a library from an .XML file. When the Create Library window appears, name your library. Adding a description is optional. Save your library to return to the Library Manager. 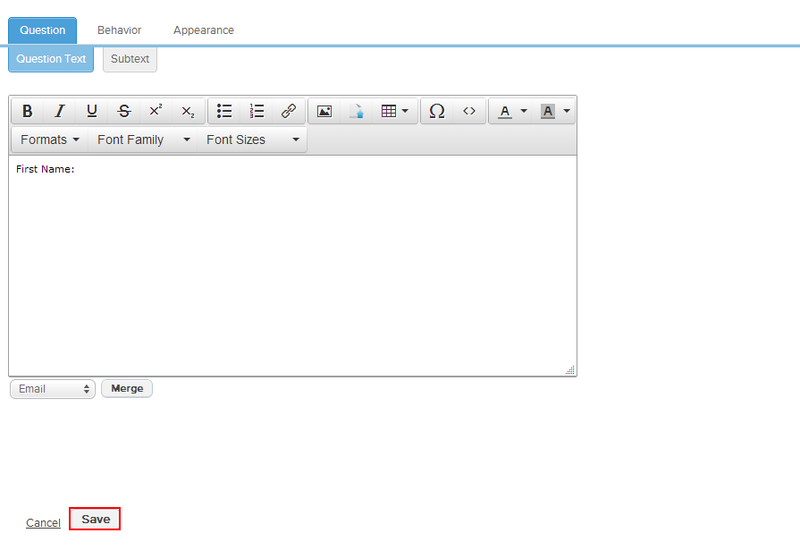 The new library now appears in the library navigation pane. Select Add Item to reveal item creation options. 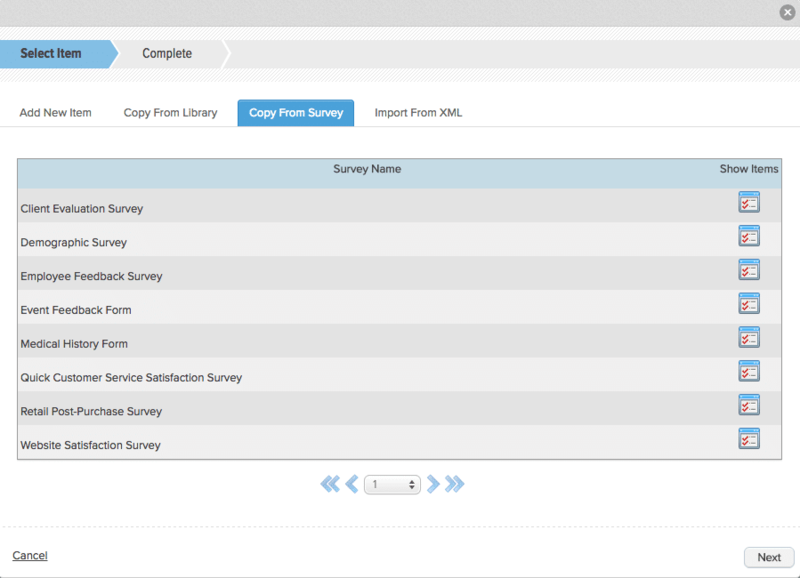 Configure the item as you would for a regular survey item and save your changes. 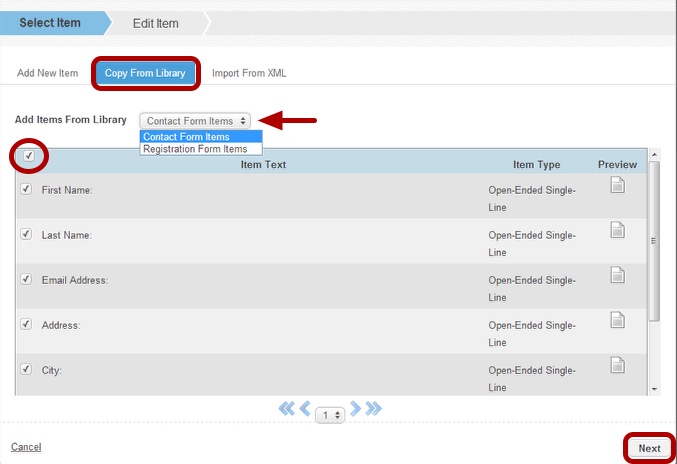 On the item selection window, select the Copy From Library tab and select an existing library from the drop-down list. If there are no other libraries, only your library will appear in this list. 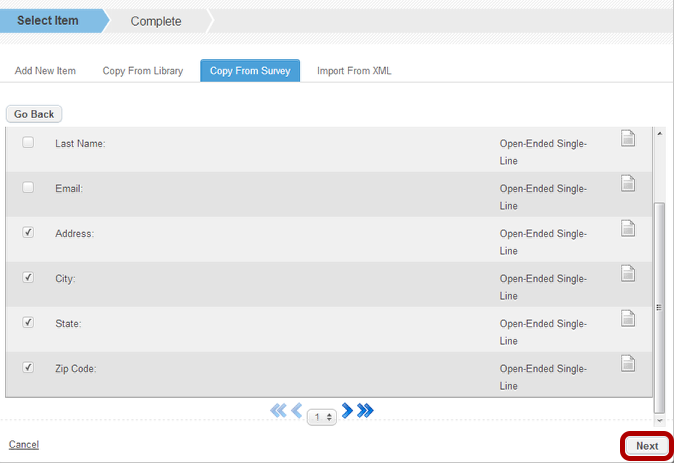 If there are other libraries, selecting one will display the survey items within that library. Check the box next to each item you wish to copy to your library. Then select Next to copy these items to your library. After copying the items to your library, you may either exit the wizard to return to your library or restart the wizard to add more items to your library. On the item selection window, select the Copy From Survey tab to display a list of available surveys. 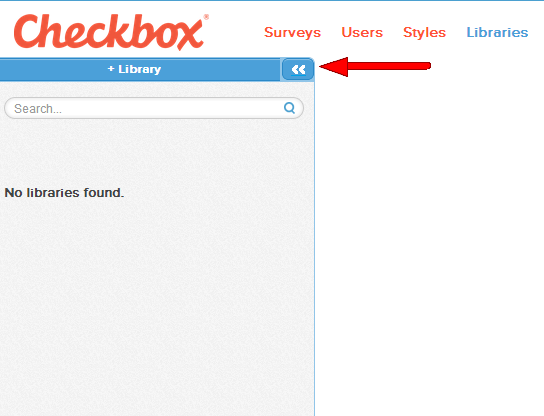 To view the contents of a survey, select the corresponding Show Items icon. 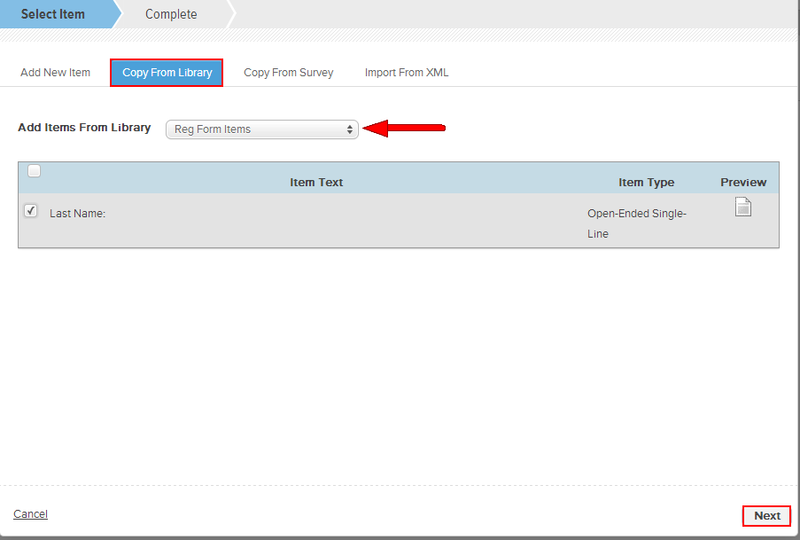 To add a library item to a survey, select Add Item from the desired page on the survey editor navigation pane. 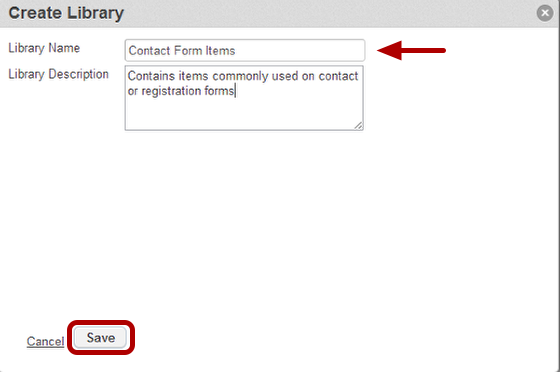 On the item selection window, select the Copy From Library tab and select an existing library from the drop-down list. Check the box next to each item you wish to copy to your library. To select all items, check the first box at the top of the item list. Select Next to copy these items to your survey. After copying the items to your survey, you may either exit the wizard to return to your survey or restart the wizard to add more items to your survey. Library permissions are configured within the Library Manager. 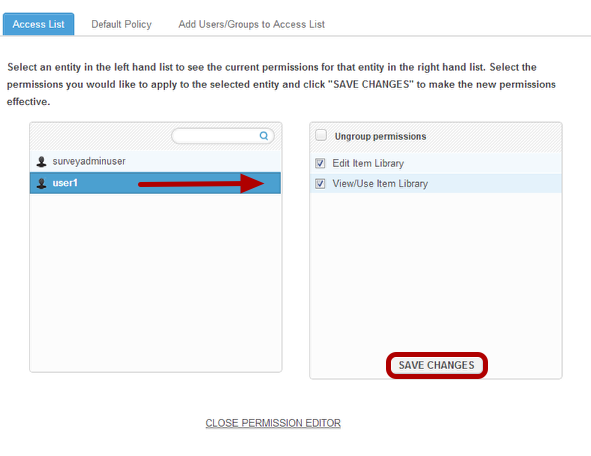 Select the library you wish to configure permissions for from the navigation pane on the left. Then, expand the Library Actions menu or the right and select Permissions. To add users to the library’s ACL, open the Add Users/Groups to Access List tab. Select desired user/group from the list of available users on the left to add them to the library’s ACL box on the right. 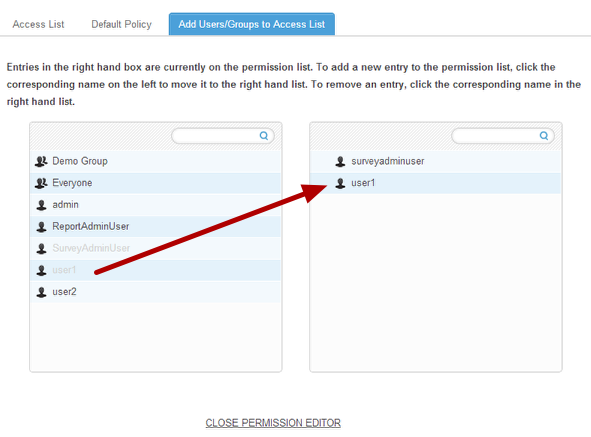 To configure the permission level of the newly added user/group, return to the Access List tab. Select user/group to view/edit permissions. Be sure to save your changes before exiting the permission editor. 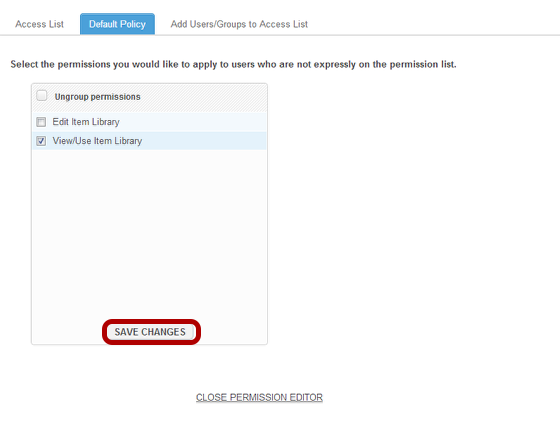 A universal permission setting can be configured on the Default Policy tab. The default policy is the permission setting for any user not specified on the library’s ACL.